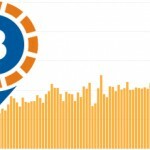 According to Chainalysis the volume of transactions for Bitcoin payment processors decreased by about 80% from December 2017 to September of this year. Last December, payment processors, including the notorious BitPay, processed operations totaling $ 427 million. However, in September of this year, this figure was only $ 96 million. For example, Coinpayments service reported a two-fold decrease in the volume of transactions from January to October. The study conducted on the basis of data obtained from 17 bitcoin processings. The peak of activity fell in September last year: then the turnover of payment processing, working with Bitcoin, was $ 411 million. By May of the current year, this figure fell almost 7 times - to $ 60 million. By June, the volume increased by $ 9 million, but in the same period last year, this figure was $ 270 million. 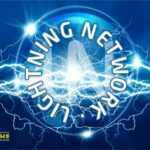 In contrast to the dramatic decline in bitcoin processing, the Lightning Network (LN) is gradually developing. This second-level protocol allows you to make instant and almost free transactions between network participants, helping to solve the problem of Bitcoin scaling. 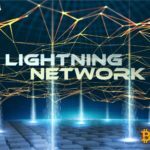 To date the number of active LN nodes in a Bitcoin network exceeded 4,000. © 2018 bit.news | queries 220, for 0.447 sec.